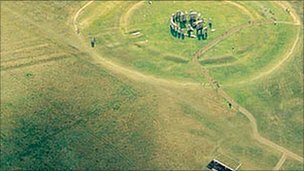 Enjoy a winter afternoon walk on Sunday, learning about the ancient archaeology of the Stonehenge World Heritage Site and the area’s varied wildlife.On this three-mile walk with views of the stone circle, the ancient earthworks that have revealed much about the people who once lived and celebrated there will be visited. Talking points include the Cursus, the many and varied barrows, and an ancient avenue connecting ceremonial centres. Booking is essential, and the walk begins at 2pm. For details and to book, when the start point will be given, call 0844 249 1895.